#KingOfTheMountain – The Porsche 909 Bergspyder. – Historic Motor Sport Central. #KingOfTheMountain – The Porsche 909 Bergspyder. 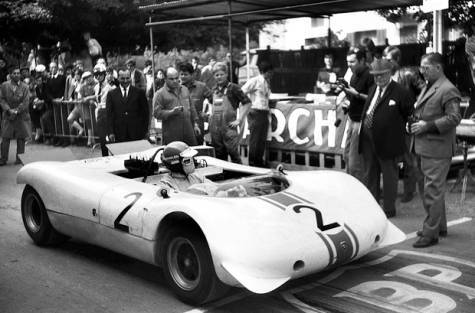 The Porsche 909 Bergspyder (Mountain Spyder) was the first Weissach purpose built car for the 1968 season of the European Hillclimb Championship. It had to be compliant with the FIA Group 7 regulations which was then enforced. One of the reason the project was put together was that Ferrari was apparently testing a purpose built car to challenge the opposition in this particular championship. It basically consisted of two rules, road equipment had to be fitted and two seats were mandatory. All other things were basically free and as an example, CanAm cars were also built to those regulations. 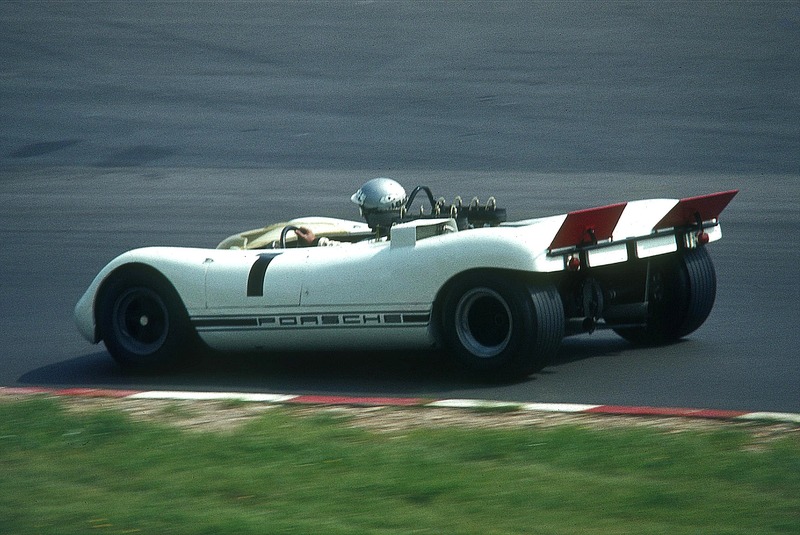 The 909 sported some of Porsche famous building technique such as the use of aluminium for the spaceframe chassis. A technique that only Porsche mastered at the time. Other interesting features of the car was the use of very exotic materials for the period. The suspension was build using titanium and particularly the coil springs. But what was to be a very special feature was the braking system. Porsche decided to use beryllium instead of cast-iron. Beryllium was light and resulted in a 14 kg weight save but it was also very expensive but that’s not important. The fact that beryllium dust is toxic show how far Porsche was ready to go for the championship win and glory. Other interesting point was the fuel tank, consisting of a titanium shell with an inner rubber bag containing the fuel, it would be pressurized so the rubber bag would play the tank role as well as the pump. The pressure inside the tank would change to maintain the fuel flow to the engine. Nonetheless, capacity was limited to 16 litre, a single run-up and run-down capacity. Engine side, the car was powered by an aircooled type 771 Flat 8 engine which was developed alongside the type 753 Formula one engine of the early 60’s. 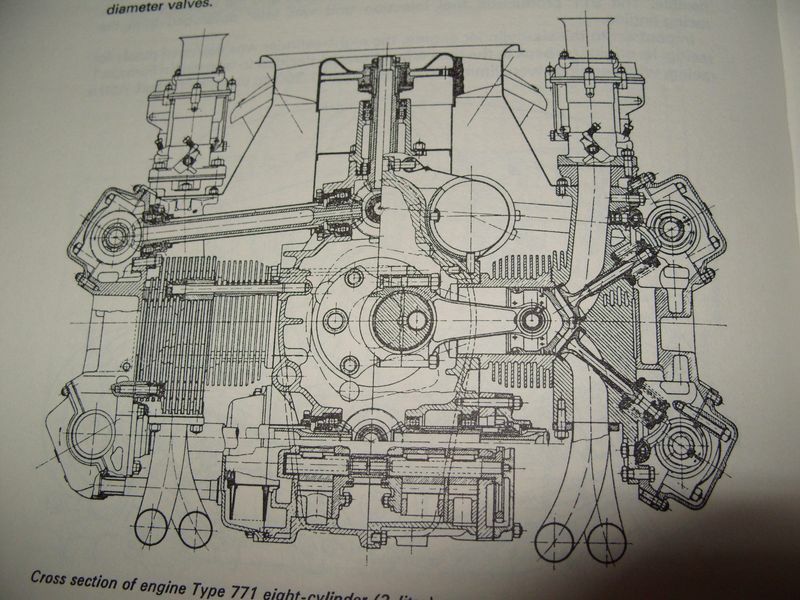 A complicated architecture and camshaft arrangement lead to a total of 220 hours for the build of a single engine..! First fitted with Webers carburetors, the engine was fitted with injection on the 909 and the little 2000cc engine output was a staggering 275 HP @ 9200 RPM. As said earlier, it was the first time Porsche designed and developed a car for a single purpose so the car was suited to the needs of hillclimbing, short wheelbase to ensure nervousity of the car (long wheelbase makes a car more stable at high speed). and wide track to ensure maximum grip. Last, the Ferrari didn’t appear in 1968 and Porsche took the tittle. It would then end the hillclimb program and the car would be stored at Weissach. Looking at it, you can certainly see the roots of another car later built by Porsche, the 1970′ 908/3 but that’s another story. Next Next post: #KingOfTheMountain – The Ferrari 212 E Montagna.